Fred. Olsen Cruise Lines’ 804-guest Black Watch is due to commence her first-ever cruise season from Liverpool’s Pier Head Cruise Terminal on 31 March 2015. This is Fred. Olsen’s third season from Liverpool port. In total Fred. Olsen is offering 15 sailings from Liverpool in 2015/16, an increase of four cruises compared to last year. 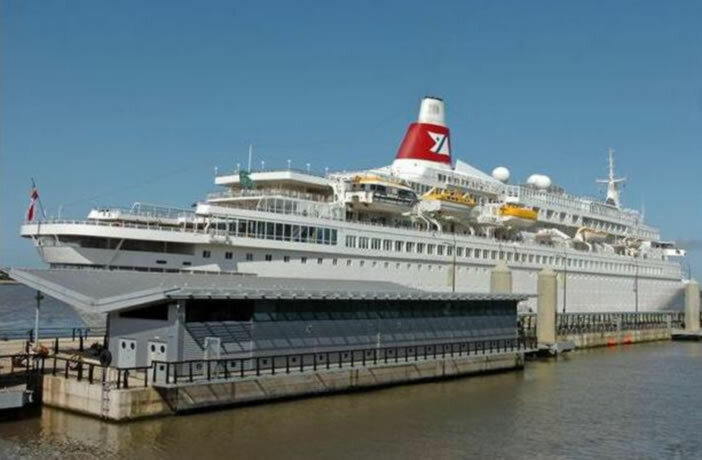 Black Watch’s first sailing from Liverpool will be on a 13-night Canary Islands Easter cruise. Other sailings include including a 16-night Rugged & Rural Canada journey, an 18-night Canaries Christmas & Funchal Fireworks sailing and a two-night Dublin Mini-Cruise over the Summer, to sample the famous Irish ‘craic’. Departing on 13 April 2015 the 25-night The Adriatic with Venice cruise will call at ports in Gibraltar; Cartegena (Spain); Catania (Italy); Kerkira (Corfu; Greece); Kotor (Montenegro); Hvar (Croatia); an overnight call into Venice (Italy); Split and Dubrovnik (Croatia); Valletta (Malta); Algiers (Algeria); and Cádiz and Seville (Spain) before returning back to Liverpool. Prices start from £1,999 per person. Departing on 22 May 2015 the 28-night Cities & Landscapes of Canada cruise will call at ports in Ponta Delgada (Portugal); Sydney (Nova Scotia; Canada); Charlottetown (Prince Edward Island; Canada); Gaspé, Trois-Rivières, Montreal, an overnight call at Quebec City, Saguenay and Havre St. Pierre (Quebec; Canada); Corner Brook and St. John’s (Newfoundland, Canada) before heading back across the Atlantic Ocean to Liverpool. Prices start from £1,999 per person. Departing on 19 June 2015 the seven-night France & Spain cruise will call at La Coruña and Getxo (for Bilbao) in Spain and La Rochelle in France. Prices start from £699 per person. All prices are based on two adults sharing an inside cabin and include accommodation, all meals and entertainment on board, plus port taxes. Liverpool will also soon play host to three Cunard vessels in a spectacular display as part of their 175th anniversary celebrations. A three day event is planned between 24 and 26 May where Queen Mary 2, Queen Elizabeth and Queen Victoria will all be in Liverpool. On 25 May the trio of vessels will appear in formation on the Mersey where they will perform a series of carefully choreographed manoeuvres within sight of the Three Graces on Pier Head waterfront, including the iconic Cunard Building which was the company’s headquarters for nearly 50 years.